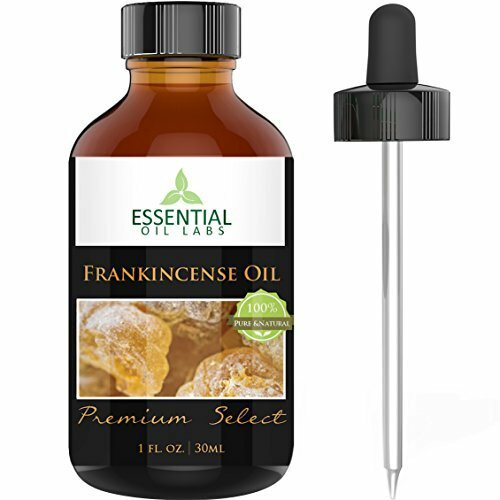 Often referred to as Heaven's gift, Essential Oil Labs frankincense oil truly is a gift from nature. It has a variety of uses including helping to combat stress and anxiety when inhaled or difussed. This wonderful oil can reduce pain and inflammation from muscles and joints while also improving circulation. When used in conjunction with a carrier oil it can reduce the appearance of scars, dark spots, stretch marks and acne while protecting skin cells in the battle against aging. Improve your oral health by helping prevent cavities and fighting bad breath by adding to your toothpaste or using as a mouthwash. Our frankincense oil has antiseptic properties that can be used as a natural cleaner and deodorizer all over your home. MAKE YOUR SKIN GLOW. Amazing healing properties make this oil an ideal treatment for scars, wounds, acne, eczema and stretch marks. The perfect compliment to your dental health, it can help prevent cavities, tooth decay and bad breath. THE BEST MASSAGE YOU WILL EVER HAVE to treat muscle pain and soreness while reducing inflammation, improving circulation and boosting immunity. Antiseptic properties make it an ideal natural cleaner for all over your home without the use of harmful chemicals. YOUR SATISFACTION IS GUARANTEED. Every Home Needs a Bottle of this Versatile Oil. Our Customers Love to Make their own Lotions for Face and Skin, Moisturizers, Serums, Soaps, Body Butter, Scrubs, Perfume Blends, Toothpaste and even Deodorant. (All recipes included in our newly written users guide). Try it Risk Free with our no Questions Asked Satisfaction Guarantee and Top Customer Service. You have Nothing to Lose and Your Health to Gain.